CrossRoad tuition represents only a third of the total cost of the program. 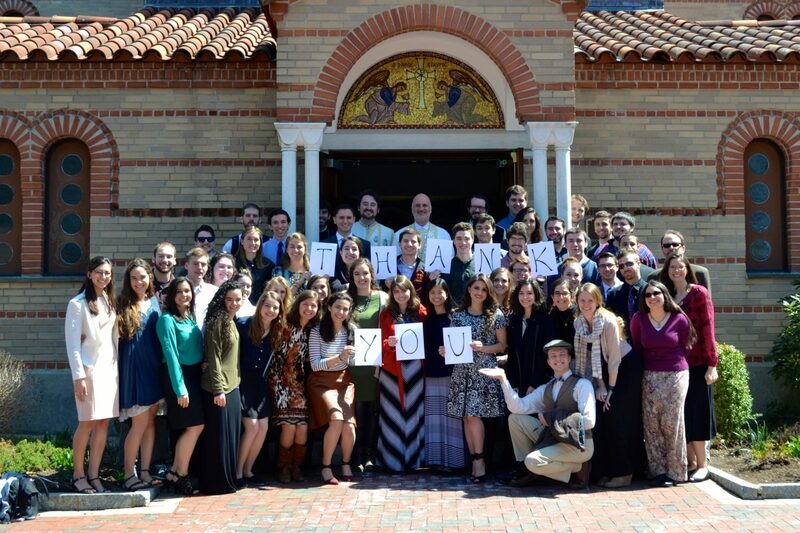 The true cost of CrossRoad is therefore 100% supported by incredible people from among our Orthodox Christian community who care deeply about young people and know that CrossRoad has a tremendous impact on their lives. Join our ministry through your gift today, or reach out to our OVM Director, Dr. Ann Bezzerides, to learn more, visit our programs in action, and dream together with us about the future of this CrossRoad ministry. We are proud to announce the endowment made to CrossRoad at Hellenic College Holy Cross in honor and memory of my parents, George & Harriet Korellis: two first generation Greek Americans who loved their Greek Orthodox church and put that love into lifelong action. With this endowment their support will continue for generations to come. When deciding where to best place this gift, my husband Dieter said, “With all the pressures and pull of Social Media it’s even more important to give our kids face-to-face experiences.” This led us to CrossRoad. Both Harriet and George like many immigrant families had extremely humble beginnings. George grew up in Hammond, Indiana, just south of Chicago, and was a lifelong member of St. Demetrios there. Growing up his parents were caretakers of the church. His mom Calliope would clean, and his dad Peter would stoke the furnace with coal for heat. They would have everything ready for services. As a young boy George often road his bike to the church on bitter cold mornings to fuel the furnace alone before going to school. The congregation was small then, and his mom knew everyone by name. On each person’s namesday she would present them with a flower. In the 1970’s she presented her handmade handkerchiefs and silver dollars to the children who recited the prayers on Friday nights during Lent. She would always sit in the back row of the church and greet any new person to make them feel welcome. Something George would continue throughout his life. He served for many years on the church board, and was President during the time of the church’s 40th anniversary. He was always the first person to welcome new members to the church with a smile and a hug, special moments that many people remind us of today. His devotion to his church remained strong until the time he passed during the bitter cold winter of 2015. Harriet was born and raised on Chicago’s northside. She was a passionate and lifelong Cubs fan. Her fondest memories as a child were spending afternoons at Wrigley Field watching her beloved team. She had a special love for dance and design, was a great student, athlete, a wonderful cook and an exceptional baker. Harriet was ahead of her time. A strong mind for business, a sense of fashion, and an arm that could pitch a mean fast ball. She moved to Hammond, Indiana when she was 21 years old, and met George. In church of course. They became the first couple to marry in the new St. Demetrios church edifice, that by the way had a boiler that no longer needed to be stoked. Harriet was active in the Philoptochos, and chaired their successful fashion show fundraiser for many years. 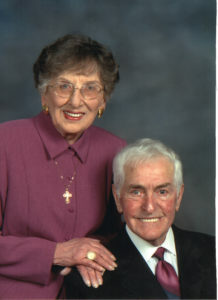 Together they were the founders of Korellis Roofing, Inc. which they started in 1960, out of their humble Hammond home. A dream come true for George, to start his own business as a first-generation American. Always the strong partner, Harriet was at his side as the business grew and grew. They loved their business, their customers and their employees for over 50 years. In 2014 George was named Businessman of the Year by the Lake Shore Chamber of Commerce. He started the scholarship fund for the Northwestern Indiana Roofing Contractor’s Association, where to date over 150 scholarships have been awarded. For so many reasons my parents would love CrossRoad. Building connections, the spirit of active practice, and servant leadership were how they both lived their lives, helping those who need a shoulder to stand on and bringing our children closer to the church. More importantly bringing our church closer to our children through understanding, communication and activity. If CrossRoad had existed when my parents were of age, they would have been the first to sign up, and praying for just a little help to do it. Read the Spring 2018 article published in DOXA newsletter.